Boho chic decor is extremely popular today, and it’s incorporated into many spaces. You can easily give your space a boho chic feel yourself, without any designers – just add fringe, macramé, cacti and succulents and stuff like this. 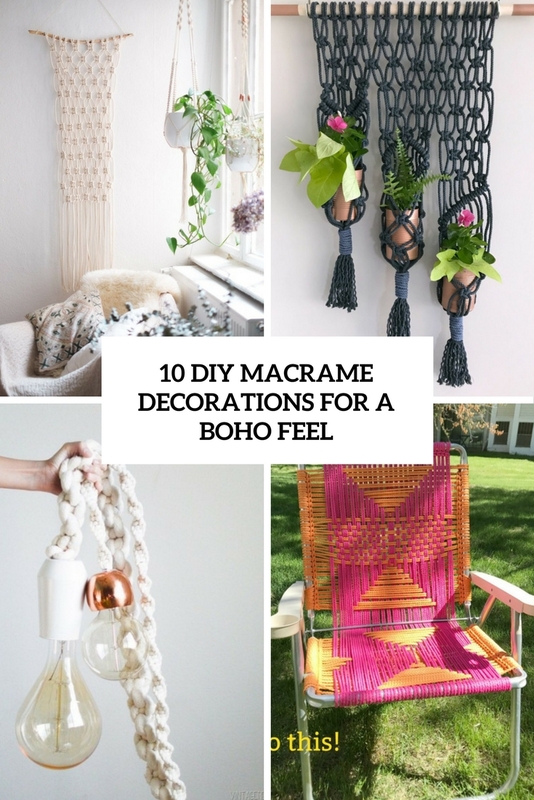 If you are ready to craft a little, let’s make some cool macramé decorations for a cool boho feel. Here are some crafts to make, let’s start. Boho chic decor is amazing but industrial, too! This cool craft combines two styles in one, and industrial lights are super hot, and you can make the piece without spending much money and without any skills! Read the tutorial to make this amazing industrial/boho chic light and enjoy! 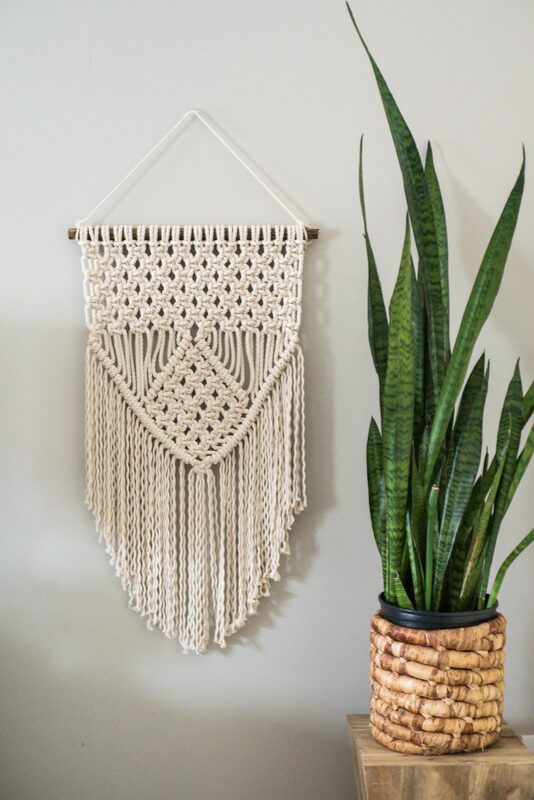 Make this macramé boho chic wall hanging and decorate a plain wall with a boho feel piece. Create this hanging on a branch to make it look more natural. If you hesitate about making it or not because it’s difficult or you don’t have any skills, there’s a vid tutorial that will help you to make it. The best thing about this project is how it adds a lot of color and interest without needing tons of time or materials, if you want to add some color, get inspired! 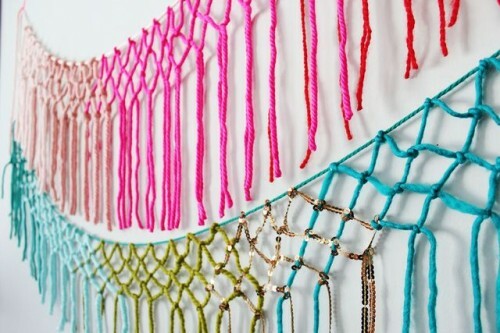 Make this colorful macramé hanging to spruce up the wall and it will raise your mood every time. 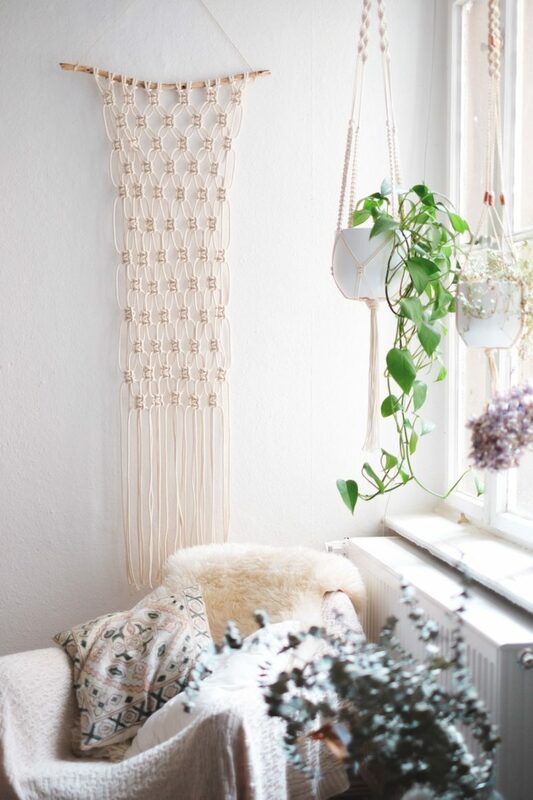 A macramé chair? Yes, please! 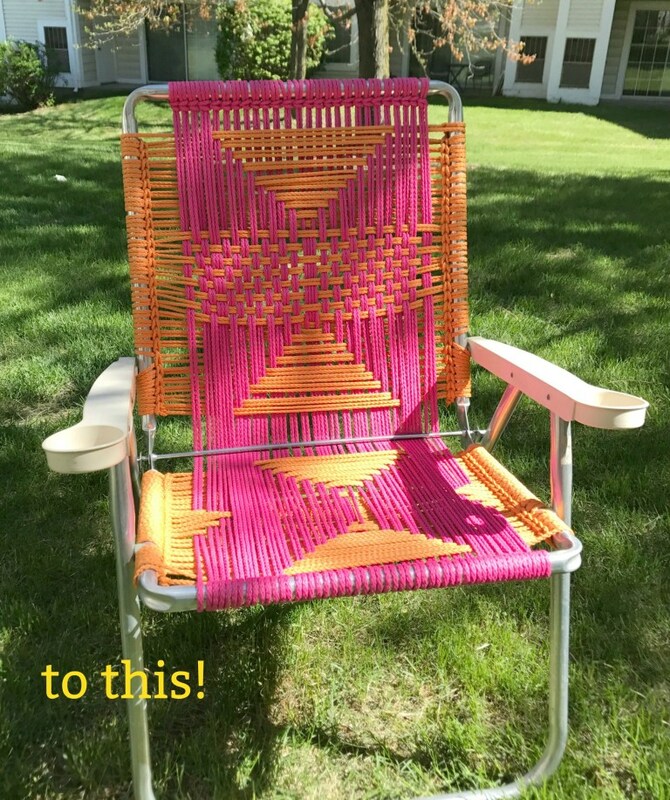 Take a usual lawn chair and change it completely with macramé! If you are using an old chair, remove the webbing and clean the chair well. Colorful threads will make your chair special and really bold. This craft will be useful both for Halloween and Thanksgiving décor – or just as a fall decoration. 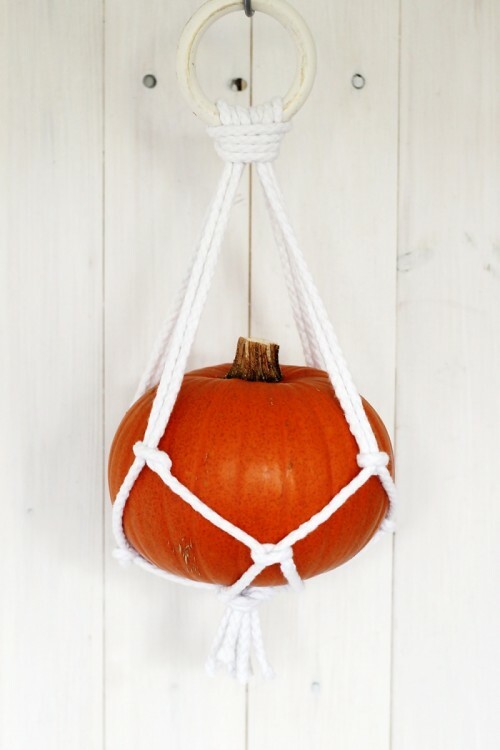 The main supplies are a pumpkin and rope, and no macramé skills are required – just create a holder and hang your pumpkin wherever you want. You can also dye the rope or paint the pumpkin if necessary. Let’s just get one thing out of the way, shall we? Cords are ugly. There’s a reason professional stylists Photoshop them out of shots — because they can muck up a perfectly pretty picture with in-your-face utilitarianism that feels anything but chic. 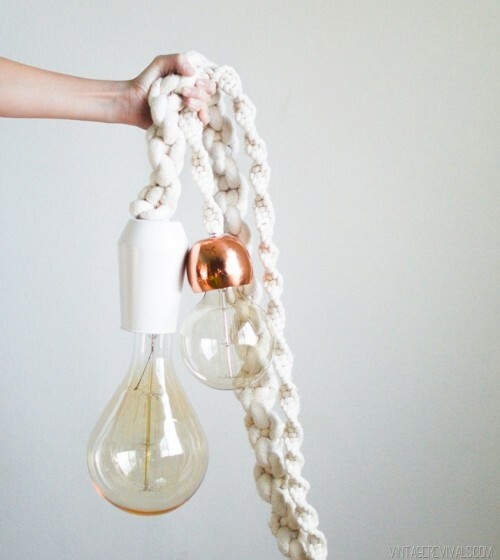 Take usual café lights and cover the cords with macramé for a chic look. 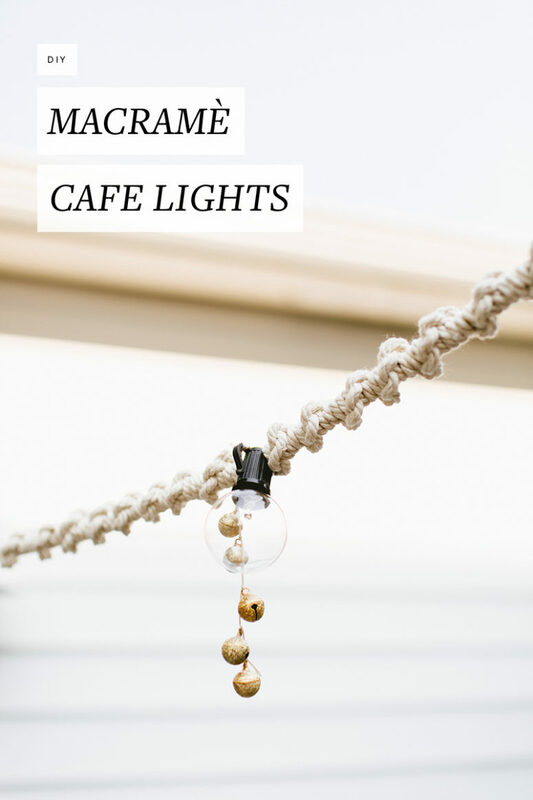 By using a simple macramé knot (which absolutely anyone can master) and some antiqued golden bells for a little extra oomph, you can create charming cafe lights that look like a bohemian masterpiece. 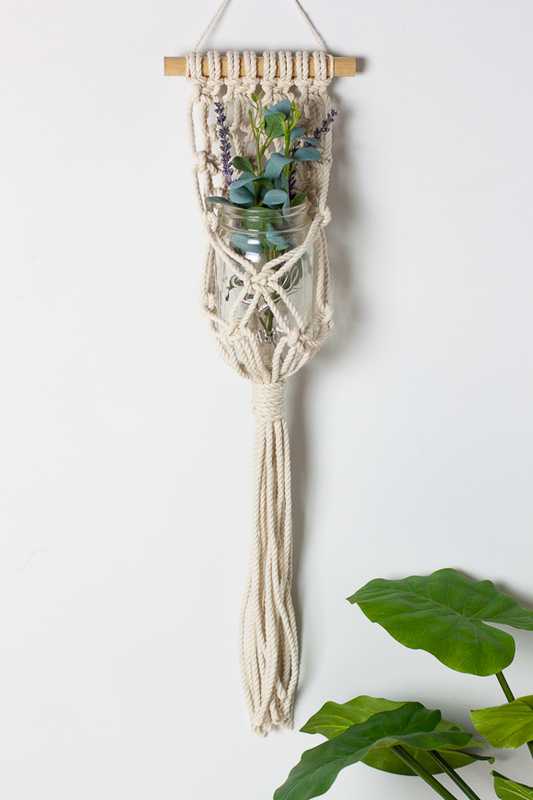 Make a cool macramé hanging of cotton rope of your choice – it will give your space a cool boho feel and it will work both for indoors and outdoors. You can accommodate as many pots as you want, here the author offer to place three but you can change that. This amazing boho chic wall hanging isn’t that easy to make but it will definitely make a bold statement wherever you hang it. The twisted cotton cord alone makes your macrame look great and chunky. You can dye it or leave as it is, and there are some different options to try. 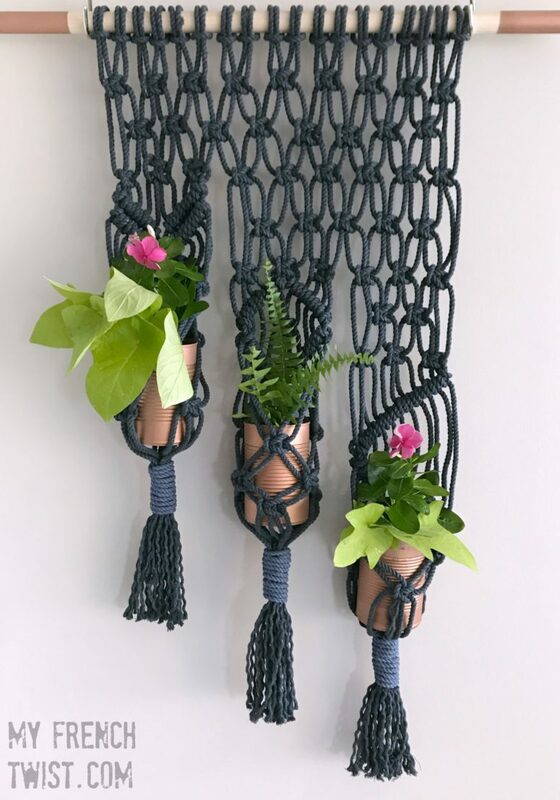 This macramé hanging is made of rope and is for one planter. It’s woven and it isn’t very difficult – there’s a detailed tutorial to make it. Hang it indoors or outdoors, and enjoy the look! A usual pillow can be spruced up with a macramé cover and some tassels. Make the cover bright and cool for an eye-catchy look or cover it with neutrals for a more boho chic feel.